Marlene Kay (Nuckols) Smith, 59, of Crab Orchard, passed away Saturday, March 2nd, at the Fort Logan Hospital in Stanford. Marlene was born on February 28, 1960 in Stanford to the late Cecil G. & Lula (Shelton) Nuckols. She was a former employee for Brake Parts in Stanford. Marlene was a member of Watts Chapel Baptist Church. She enjoyed gardening, canning, mushroom hunting, fishing and four wheeling. Marlene was a loving mother, companion, nanna, sister, aunt and friend. Survivors Include her loving Daughters, Stasi Smith and Brooke & Her Husband James Wilson all of Crab Orchard; Longtime Companion Chris Faulkner & His Son, Davis Faulkner; Sister, Barbara L. Hale of Jamestown; Brother, C.G. Nuckols & Wife Linda of Crab Orchard; 5 Grandchildren: Kara Page Wren, Brecken Augusta Wren, Ethan Thomas Swope, Ava Karis Swope and Samuel Smith Wilson. In addition to her parents, Marlene was preceded in death by an infant Brother, Dennis Lowry Nuckols. Pallbearers include, Ray Pevley, Davis Faulkner, Josh Meredith, Bruce Nuckols, James Wilson & John Swope. Her Grandchildren will serve as Honorary Pallbearers. Visitation will be after 5 PM on Tuesday, March 5th at McKnight Funeral Home. 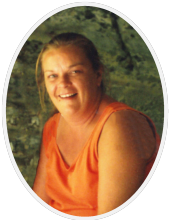 To send flowers or a remembrance gift to the family of Marlene Kay Nuckols Smith, please visit our Tribute Store. "Email Address" would like to share the life celebration of Marlene Kay Nuckols Smith. Click on the "link" to go to share a favorite memory or leave a condolence message for the family.